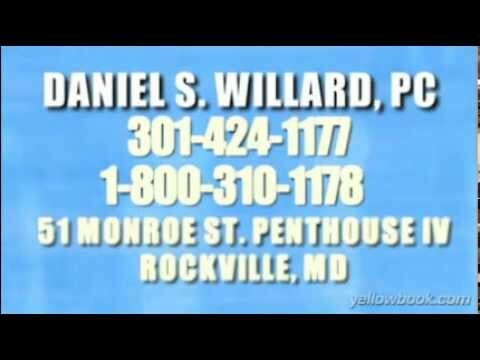 Construction Article Archives | The Law Office of Daniel S Willard PC - Law Office of DANIEL S. WILLARD, P.C. Have an Issue In one of these Areas in MD or DC? Punitive damages are intended to serve as punishment to a wrongdoer and to deter others from engaging in the same wrongful conduct instead of merely compensating the injured party for his losses. Punitive damages are normally awarded in the tort context. Thus, they are rarely recovered in construction disputes given the, normally, contractual nature of the conflict. Though not typical, punitive damages have been awarded in breach of contract actions that also contain an independent tortious conduct aspect. For example, if fraud, gross negligence, or the intentional harm to a party is present, the imposition of punitive damages may be appropriate. Essentially, a court will examine the gravity of the wrongdoer’s behavior and whether such conduct was deliberately undertaken or in disregard of the rights of others. Many states have statutorily provided for the imposition of punitive damages in a civil action. Some of these states require that the amount of punitive damages levied be reasonably related to the amount of other damages involved; other states place no such limitations on the amount. A design professional has various types of duties and responsibilities in a construction project. The design professional not only has duties and responsibilities towards his or her client but may also have duties and responsibilities towards other parties. The design professional’s contract with his or her client will determine the majority of his or her duties and responsibilities. In addition, the design professional may have some implied duties and responsibilities. When a design professional supervises activities for a construction project, he or she may be a representative or an agent for his or her client. As the agent for his or her client, the design professional has a duty to represent the interests of the client and to act within the scope of his or her employment by the client. A design professional also has a professional relationship with his or her client. The design professional must adhere to certain standards of conduct in that professional relationship. The design professional’s conduct must conform to the same level of professional care and skill that is practiced by other design professionals in the same community. The design professional cannot have a pecuniary interest in a construction project unless he or she discloses that interest to the client. The design professional can only work for his or her client. If the design professional is employed by a contractor, he or she may have a conflict of interest with the client. A typical contract between a design professional and an owner involves different types of services that are to be rendered by the design professional to the owner. The design professional may have preconstruction duties to the owner, such as creating plans and specifications, obtaining permits, assisting in obtaining bids, or estimating the cost of the project. The design professional may also have duties to the owner during the construction of the project, such as coordinating the project, observing or inspecting the contractor’s work, or approving progress payments. The design professional may also be called upon to interpret the owner’s contract with the contractor or to arbitrate disputes between the owner and the contractor. A design professional may have duties to third parties as a result of his or her work. Such third parties may include parties who are involved in the construction project, such as contractors, subcontractors, suppliers, and laborers. The third parties may also include parties who are not involved in the construction process, such as adjacent landowners, subsequent owners, sureties, and lenders. A design professional’s responsibilities to his or her client or to third parties may also be implied by law. For example, the law deems that the design professional’s plans and specifications will conform to all applicable building, zoning, and safety codes. Because the design professional is required to be licensed, certain statutory duties may be imposed upon the design professional in accordance with his or her license, such as educational requirements and license fees. If the design professional belongs to a professional society, the society may also have certain standards regarding the design professional’s activities. Retainage funds do not only serve as a protective mechanism for an owner on a construction project. Third parties may also benefit from the funds that have been earned by the contractor, but withheld pending completion of the construction project. Third parties may seek to satisfy a contractor’s outstanding indebtedness out of the retainage funds. A prime candidate as a third-party claimant is the Internal Revenue Service. When a contractor is delinquent in the payment of its taxes, the IRS may claim payment out of the contractor’s retainage by way of levy. If a levy is placed on the funds, notice of the amount withheld would be sent to the delinquent contractor as well as the IRS. With respect to a contractor’s progress payments, this would provide a fairly steady source of income with which the delinquent taxes could be satisfied. Other third parties, owed money by the contractor, could also seek to reach the retainage funds by way of a judicial attachment. Once a court orders that the funds are to be attached, they would be turned over to the court’s custody and thereafter used to satisfy the judgment entered in favor of the third party. Should monies be paid over to the third party claimant, the surety’s security for completion of the project would be diminished; thus, notice to the surety would be provided. Architects and engineers provide professional services to a construction project. Their liability in doing so is commensurate with the role they play. Architects are generally divided into two groups. There are those that both design and build the structure and those that only prepare the plans for construction. There are four types of engineers involved in the construction process: civil, structural, mechanical, and electrical. Generally, an engineer serves as a consultant in these four areas to aid architects in the design of the structure. Architects and professional engineers must be licensed, with such licensing requirements being proscribed state by state. As such, architects and engineers are held to a standard befitting their education, training, and licensing. The potential liability for these professionals extends to several areas and the degree of liability is determined by the services they perform. Architects and engineers not only create the design and specifications for a building. In some instances, they take on a management role in the construction process, overseeing the implementation of their designs. Participating in the hands-on management function of construction, increases their liability. Defective design forms the basis for many actions against these professionals. For example, an architect who prepares the initial plans and specifications may be charged with negligence by the property owner. Likewise, engineers involved in the design phase may be held responsible for any damage arising from their contribution to the design of the structure. In addition to negligence, architects and engineers may be sued for breach of contract by the property owner or general contractor should their services fall below the standard for quality and accuracy specified in the construction contract. For example, the delayed performance by an architect or engineer, or the failure to prepare the plans and specifications according to the contract and in compliance with the applicable area’s building code, may open up such professionals to contract liability. Another form of legal accountability for architects and engineers comes in the form of a malpractice claim. It is likely that such claims will be based on the particular contract. Basically, a malpractice claim accuses the professional of not adhering to the appropriate standard of care and can be based on such things as the failure to design a safe structure or warranting the soundness of a structure. The competitive bidding process is not the only means by which construction contracts can be entered into. Sometimes, it is not a matter of choosing which contractor will perform the construction, but rather merely the particulars surrounding a project that will be performed by an already designated contractor. The negotiation of a private construction contract encompasses everything from what work will be performed at what price to when the construction will begin and end. The owner and contractor can greatly benefit by a negotiated construction contract because there is more time and effort spent hammering out issues that could possibly cause disputes later on down the road. When negotiations commence, a contractor is able to clarify ambiguities and obtain answers to questions that could very well affect the terms of the contract. With a better understanding of the owner’s expectations comes a finished product that will likely meet the owner’s expectations. Without the benefit of a competitive bidding process, the contractor has little incentive to limit the price for his services. However, it is often the case that when an owner chooses a contractor outside a bidding environment, issues other than price predominate. For example, if an owner has previously worked with the contractor, knows the level of quality to which the contractor adheres, and knows that the contractor has expertise in the particular area at issue, the fact that the contractor may charge more for his services may be considered merely a fact of doing business with the desired contractor. When more than one lien has been placed on a piece of property, the issue of priority comes into play. Generally, the rule of “first in time” will prevail as far as mechanic’s liens. In other words, once a mechanic’s lien has been attached to the property, subsequent liens will be subordinate. Likewise, a lien that already exists on the property will take precedence over a mechanic’s lien filed thereafter. Though first in time, if a mechanic’s lien is not properly perfected and enforced, it will lose its priority over later liens. Some states give priority to the liens of laborers and materialmen over those of other construction claimants, such as contractors. Additionally, a mechanic’s lien will be given priority over 1) a mortgage, as long as the lien was recorded prior to the recordation of the mortgage, 2) the interest of a bona fide purchaser for value, as long as the lien attached before title was transferred, and 3) a tax lien, if the mechanic’s lien is perfected before issuance of the notice of tax lien. In keeping with the “first in time” philosophy, courts will also give priority to a mechanic’s lien that attaches before the entry of a judgment lien on the property. The Americans with Disabilities Act was enacted in 1990 in order to eliminate discrimination against individuals with disabilities. The Act requires persons to design and construct public accommodations and facilities that are accessible to individuals with disabilities. The Act also provides that no individual shall be discriminated against on the basis of his or her disability in the enjoyment of goods, services, facilities, or accommodations by persons who own, lease, or operate a place of public accommodation. The Act applies to new construction and to alterations to existing public accommodations and facilities. Although the Act applies to persons who own, lease, or operate a place of public accommodation, a contractor or a design professional could be liable under the Act if he or she designs and constructs a facility. Although some courts have held that the contractor or the design professional must both design and construct the facility in order to be liable under the Act, other courts have held that all parties who participate in the design and construction of the facility are liable under the Act. The Act does not require state or local building officials to enforce the Act. Therefore, owners, contractors, and design professionals should not rely on building codes and permits to protect them from enforcement of the Act by the federal government. The Act may be enforced by a private person, by a disability organization, or by the federal government. A private person who is being subjected to discrimination on the basis of his or her disability or who has reasonable grounds for believing that he or she will be subjected to discrimination is entitled to injunctive relief and attorney’s fees under the Act. A private person is not entitled to monetary damages or to punitive damages under the Act. Only the federal government is entitled to monetary damages and punitive damages under the Act. If a private person is successful in his or her claim for injunctive relief, which injunctive relief requires the modification of an existing public accommodation or facility, an owner, a contractor, or a design professional could be subjected to substantial liability. The owner, the contractor, or the design professional could also be subjected to liability for substantial attorney’s fees. Owners, contractors, and design professionals are required to be familiar with the provisions of the Act and with rules and regulations that have been enacted in accordance with the Act. Some courts have held owners, contractors, and design professionals responsible for the federal government’s official and unofficial interpretation of the rules and regulations. Ignorance of the Act and its rules and regulations is not a defense to an action that is brought for a violation of the Act. Normally, when a contractor’s performance under a construction contract is delayed, the owner may seek damages arising from such delay. However, if the owner has waived the agreed-upon completion date, he may not later seek damages based on the contractor’s failure to complete performance on such date. To determine whether a waiver has occurred, courts will examine all the surrounding circumstances, including the actions and inaction of the owner. Consider the owner who continues to pay the contractor despite the contractor’s delayed performance. A court could infer that the owner intended to waive the completion date because he continued to pay the contractor for three months after the completion date instead of utilizing available remedies for delay at his disposal. In contrast, other courts have been less willing to find that a waiver was intended. For example, even though a new construction schedule with updated completion dates was issued to the contractor, it was held that such occurrence did not obviate the original completion dates. As protection against the inference of waiver, owners may include language in the construction contract advising that the owner at no time intends to waive the completion dates set out in the contract. Additionally, if the contractor is allowed to remain on the job after the completion date has passed, the contractor should be notified (preferably in writing, and on more than one occasion) that continued tolerance of his presence on the job does not evidence the owner’s intent to waive the contractual completion dates or any rights associated with the contractor’s delayed performance. If a court does find that the agreed-upon completion dates have been waived, it is likely that it will calculate a “reasonable” time for completion and proceed from there. With respect to a home improvement project, the key to a homeowner’s protection is a construction contract that provides for various contingencies. Although most contracts are a single document, the homeowner should be aware that different signed documents could together form a contract. Each piece of paper to be signed should be carefully examined by the homeowner to ensure it meets with the homeowner’s understanding of the parties’ agreement. Following are tips for homeowners entering into home improvement construction contracts. 1. Put Everything in Writing and Keep Copies. The parties to a written contract are bound by its terms. Therefore, prudence calls for every understanding, agreement, qualification, specification, expectation, and aspect of the transaction to be included in the written document. The homeowner should keep a copy of every document related to the project. Not only will doing so allow the homeowner to quickly access information concerning the project but, should the need arise, the homeowner will also have a complete set of the relevant documents to provide to his attorney. 2. Identification of Parties. Along with the name of the contracting homeowner, the contract should clearly identify the contractor, his business address and license number. 3. Financing of the Project. If the homeowner intends to fund the home improvement project by way of a loan, the homeowner should consider including a clause to the effect that the validity of the contract hinges on the homeowner obtaining the loan at a given interest rate. 4. Payment Terms. The contract should unambiguously set out all the terms concerning payment for the labor and materials associated with the project. The total price should be stated along with the amount of any down payment or deposit and the time frame for payment. Additionally, the contract should call for a percentage of the price to be retained by the homeowner until the date of completion. The homeowner may also want to include a provision for his right to withhold payment or take a deduction of the project price should the contractor fail to complete the project according to applicable building codes, fail to complete the project in a timely manner, or in the event that a lien is filed against the homeowner by a supplier or subcontractor. 5. Change Orders. After the original contract has been executed, the homeowner may decide to make changes to the project. Should this occur, the homeowner and contractor should execute a written change order to memorialize the agreement concerning the change. 6. Warranties. The contractor’s warranties for labor and materials should be included in the contract. The contract should state what part of the contractor’s work is covered and for how long. 7. Project Time Frame. The contract should clearly provide the date on which work will begin and the date by which the project will be completed. 8. Legal Notices. Depending on the state in which the construction is taking place, certain notices should be included in the contract. For example, some states require a notice of the applicable lien laws, the rights and responsibilities of the homeowner, and information concerning the contractor’s substantial commencement of the work. 9. Alternative Dispute Resolution. If the parties agree to forego the judicial resolution of any controversies in favor of arbitration or another form of alternative dispute resolution, the contract should so state. A surety bond is a document that guarantees the obligations under a construction contract. The surety bond is similar to an insurance policy in that it protects the parties who are involved in the construction contract. Surety bonds are issued by a surety company. There are three types of surety bonds in construction contracts. The first is a bid bond. The bid bond guarantees that a bidder will execute the contract and will provide payment and performance bonds within a specified time. If the bidder fails to perform under the bid bond, an owner is entitled to recover from the surety company. The second is a payment bond. The payment bond guarantees that an owner will pay a contractor for his labor and materials. The payment bond may also guarantee that the contractor will pay his or her subcontractors for their labor and materials. If the contractor executes a payment bond on behalf of the owner, the subcontractors cannot sue the owner or file mechanic’s liens against the owner’s property. The subcontractors can only seek payment under the bond. The third is a performance bond. The performance bond guarantees that the contractor will complete the project. If the contractor fails to complete the project, the owner may sue the contractor for breach of contract or may seek payment from the surety company under the performance bond. Surety bonds are generally not required in private construction contracts because contractors and subcontractors are entitled to file liens against an owner’s property if the owner fails to pay the contractor or if the contractor fails to pay the subcontractors. Surety bonds are usually required for public contracts that exceed a certain amount because mechanic’s liens cannot be filed against public property. A surety company executes a bond at the request of a principal or an obligor. The principal or the obligor is the party who is responsible for performing under the bond. The surety company executes the bond on behalf of an obligee. The obligee is the party who is entitled to recover payment under the bond. In a bid bond, the principal or the obligor is the bidder. The owner is the obligee. In a payment bond, the obligor is the owner or the contractor. The obligee is the contractor when the owner promises to pay the contractor. The obligee is the subcontractor when the contractor promises to pay the subcontractor. In a performance bond, the obligor is the contractor and the owner is the obligee. When a surety company pays money under a bond, the surety company has a right to be reimbursed by its principal or obligor and has a right to be subrogated to any claims that the obligor might have against an obligee. Subrogation means that the surety company has a right to be substituted or to participate in a lawsuit involving the obligor and the obligee. “Trade usage” indicates a regular observance of course of conduct between those in a given industry that is usually expected to be followed by those in the industry or trade. Parties to a contract are generally considered to be justified in their assumption that performance under the contract will be in keeping with the usage of trade. However, if trade usage cannot be reasonably harmonized with the express terms of the parties’ contract, their course of performance, or their course of dealing, it will hold less weight in the interpretation of the contract. Trade usage is useful in helping to explain contractual provisions or to supplement the contract with missing terms. By looking to established and uniform conduct of members of a trade, courts can reasonably ascertain the parties’ intention with respect to performance under the contract. For example, consider the contract between an owner and a general contractor for the construction of single-family homes, which specifies that the contractor’s work is to be completed in a good and workmanlike manner. If the contractor fails to construct the home according to the requisite building code, the owner may claim a breach of contract based on the contractor’s duty to perform his work in a “good and workmanlike manner.” To understand what “good and workmanlike manner” encompasses, a court may look to trade usage to discern that it includes constructing a home according to all applicable building codes. A contractor’s bid is an offer to perform specified work at a given price, and is submitted in a competitive environment to enable the owner to receive the best offer from the best contractor for the job. Bid rigging is a form of collusion between contractors that thwarts the competitive process and seeks to artificially raise the ultimate price for the work to be performed. The “winning” bid is chosen in advance by the conspirators. To ensure the chosen bid’s success, the conspirators engage in various actions such as refraining from making a bid, withdrawing bids that have already been submitted, and submitting non-responsive or inflated bids to give the appearance of competition. Bid rigging is prohibited by the Sherman Act, and those participating in the practice may be prosecuted by the Antirust Division of the United States Department of Justice. A violation of the Sherman Act is a felony for which penalties and jail time can be assessed. Additionally, the victims of bid rigging can bring a civil action against the perpetrators seeking to recover up to three times the victim’s damages. The detection of bid rigging can be difficult given the secret nature of the conspiracy. In a non-exhaustive list, various signs that suggest that bid rigging is occurring are when the same contractor is awarded the contract time after time along with the same contractors frequently submitting unsuccessful bids when that happens, fewer bids are submitted and those that are submitted are much higher with no indication of the reason for the disparity, and successful bids are withdrawn by one contractor and such contractor is then chosen to perform work for the “winning” contractor. Where the detection of bid rigging is difficult, proving bid rigging is even harder. Though suspicions may be well-founded, allegations of bid rigging without proof may open up an individual to a charge of defamation. Defamation may take the form of either libel or slander depending upon the means used to convey the information, i.e. written or oral. The hallmark of defamation is that it harms the victim’s reputation. To succeed in a defamation action, the victim must prove that a defamatory statement was made to a third party and that either special damages were suffered by the victim or the defamation was of a certain type where proof of such damages was not required. Generally, a defamatory statement addressed against a business entity, such as a contractor, would deter others from doing business with that contractor and/or impugn the name of the contractor such that those in the industry would react negatively toward the contractor. Allegations of bid rigging would go to the heart of how the contractor conducts business and necessarily impugn the contractor’s honesty and integrity. Given the secretive character of bid rigging, defending oneself against a charge of defamation for publishing a statement that such practice was being engaged in by a contractor could be a monumental proposition. The yardstick against which all claims of defamation are measured is whether the statement is true. Therefore, avoiding a defamation claim for statements concerning a contractor’s bid rigging would seem to necessarily require that there be proof of the truth of the statement. However, it could be argued that the contractor is a licensed professional and that the alleged defamatory statement was made to protect the public from harm. This argument continues that the anti-competitiveness of bid rigging is injurious to society and, thus, being a statement in the public interest, no claim for defamation should lie. The fact circumstances in each instance will control the outcome, though prudence would caution against hasty allegations of bid rigging. The federal Comprehensive Environmental Response, Compensation, and Liability Act of 1980. The federal Comprehensive Environmental Response, Compensation, and Liability Act of 1980 (CERCLA), also known as Superfund, as amended by the Superfund Amendments and Reauthorization Act of 1986 (SARA), is an environmental liability law that seeks to remediate and clean up polluted and hazardous waste sites. CERCLA generally focuses on past contamination and fixing liability for the clean-up costs. Through CERCLA’s authorization, the Environmental Protection Agency can pursue those parties responsible for such costs under a theory of strict liability. That is, the negligence or fault of the responsible party is irrelevant. a person who accepted any hazardous substances for transport or disposal from which there is a release, or a threatened release, of a hazardous substance. These categories can easily accommodate a contractor who encounters a hazardous substance on a job site and unknowingly transports it to another site, or even to other areas of the same construction site. Neither the fact that the contamination occurred decades earlier nor the fact that the contractor had no knowledge of the existence of the hazardous substance would diminish the contractor’s liability. Further, a developer who controls the construction site and the activities therein could be recognized as the “operator” of a facility. Another key feature of CERCLA is joint and several liability among all the parties. Each party is individually 100% liable for the clean-up costs, even though such party may be attributed a smaller percentage of fault for the contamination. SARA added the ability of responsible parties to seek contribution from other such parties. A design professional who enters into a contract with an owner for a construction project owes certain duties to the owner under the contract. In addition, the design professional may owe certain duties to lenders and sureties that are involved in the project. If a design professional is employed by a lender to perform inspections in order to certify work for payment by the lender, the design professional may be liable to the lender for breach of contract if the design professional fails to perform the inspections properly. The design professional may also be liable for a negligence action on the part of the lender. If a design professional’s negligence causes damage to a structure that is subject to a loan or a mortgage, which damage impairs a lender’s security, the design professional may be liable to the lender for his or her negligence. If a design professional is not employed by a lender but causes damage to the lender in his or her performance of services in a construction project, the design professional may be liable to the lender. The lender has a cause of action for damages against the design professional if its security in the construction project is damaged as a result of the design professional’s actions. When a surety issues a payment or a performance bond on behalf of a contractor, the surety guarantees that the contractor will perform his or her contract with an owner and that subcontractors and suppliers will be paid. The surety does not enter into a contract with the design professional or the owner and is not a party to the contract between the owner and the contractor or to the contract between the owner and the design professional. The surety therefore does not have a right to bring a breach of contract action against the design professional. Because a surety is not in a position to supervise a construction project, the surety must rely to a certain degree on a design professional when the design professional inspects the work and certifies that payments should be made to a contractor. If the design professional acts negligently in inspecting the work or in certifying the payments, the surety may be exposed to greater liability as a result of the design professional’s negligence. If the design professional refuses to certify the payments, the surety may become liable under the payment or the performance bond. If the design professional certifies an underpayment to the contractor, the contractor may refuse to complete the project. If the design professional certifies an overpayment to the contractor, the contractor may not be motivated to complete the project on a timely basis. In either case, the surety may have to complete the project and may be subjected to increased liability for the project. If a design professional is negligent in certifying payments to a contractor, which negligence causes damages to a surety, the surety is entitled to a negligence action against the design professional.